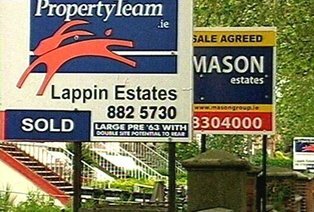 A leading NAMA employee insists there is a massive housing stock problem in certain parts of Dublin and has predicted that there will be a “massive outcry” for housing in these areas before too long. John Pope, an ex-financial director with Zoe Developments, predicted a “very strong recovery” in the capital before too long with traditional commuter areas taking up to a decade to reach the same levels. He said we will “definitely see very strong recovery in residential markets in Dublin – but in houses only,” adding that you’d be “mad” to build apartments. Mr Pope, who is now employed by NAMA to manage former Zoe properties through a management company called Pames, said prices were already on the rise in Dublin because of the aforementioned problem with stock. “There is massive pent-up demand for three and four-bed semis in places like Dun Laoghaire/Rathdown, where only about 40 houses were built in 2011.